This book about Ellington and the Beatles on the surface is about musical collaboration but a key theme is the denigration of Ellington. Of course, Ellington collaborated with his musicians. In some cases, he made their ideas into rich orchestral music in ways that they could not have achieved. The downgrading of Ellington follows on from the Terry Teachout book on Ellington and is merely a rehash of the Teachout conclusions. David Hajdu wrote a well researched book detailing the work of Billy Strayhorn who some thought had not been awarded what he deserved. As this review is being written, Henry Grimes is celebrating his 80th birthday in Manhattan with friends, family and some of the many musicians with whom he has shared a stage over the years, and Barbara Frenz important and timely biography provides a detailed and deeply human record of his astonishing career and creativity. Click on the cover to read review. 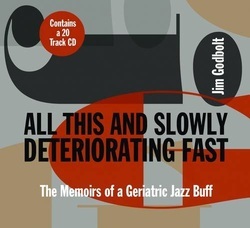 This book is very much a reworking of Jim Godbolt’s previously published work or as the author states a new slant on old material, nothing wrong with that as long as the original material was interesting enough to warrant a second helping. The author again covers his experiences in the music business and although it is interesting he does not include any further material that was not covered in his earlier work “All this and 10%”. His ailments and prejudices are covered in some detail for which he has our sympathy it does not make for light reading. His falling out with a certain Jazz Journal columnist is referred to a number of times but we are never told what was the cause of the initial dispute, but the again do we really6 care, it was probably some minor thing which grew over time. As editor and main contributor to the in house magazine of the Ronnie Scott Club (Jazz at Ronnie Scott’s) it is surprising that his knowledge of the main participants are given greater coverage. 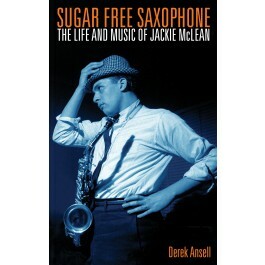 It is acknowledged that the author’s interest in jazz leans towards the more traditional side but he must have picked up some details of the modern players that would have been of interest to the reader. For readers who have not sampled his earlier work there is much to be enjoyed and being the size of a CD it is handy to carry around in the pocket, there is also a CD included which covers the author’s interest in the music. Some of the tracks are of historical significance rather than standout jazz performances. The Lil Armstrong track “Safely locked up in my heart” which has an interesting vocal by Lil herself and a cracking trombone solo by J.C. Higginbottom. The Humphrey Lyttelton track with guest Sidney Bechet from 1949 is one not to be missed. There’s an early George Melly with Mick Mulligan which demonstrates how much he improved over the years, particularly his diction. The Tony Crombie / Ronnie Scott Quintet is one to savour with Ronnie Scott just taking 5the honours from Tubby Hayes and a marvellous piano solo from Terry Shannon at the piano. The final track with the Duke Ellington playing “Dance of the Floreadores” from The Nutcracker Suite reminds us how good it was. It could have benefited having a good editor as there are a number of repetitions often on a joining pages but they do not detract too much from the enjoyment. piece of music in time for the premiere.” Does that sound like a guy who was one of the most prolific composers and who was still composing on his death bed? a bass player in his youth but his main claim to fame is that he is the drama critic of the Wall Street Journal. Teachout is at pains in the early part of the book to question Ellington’s legitimacy as a composer. Quote after quote is mentioned usually from classical music critics who want to criticise Ellington’s output. The usual complaint is that Ellington’s writing is not like a classical composer’s. Teachout delights in suggesting that many of Ellington’s pieces were virtually stolen from members of his own band. The truth is that Ellington was an innovator. He was working in a totally different way from the playwrights and composers that Teachout is used to. The Ellington band was like a continuous travelling workshop. Think of Mike Leigh and the way that he gathers actors together to jointly create a play or a film. If Ellington heard a phrase or idea in the solo of one of his musicians he would use it and probably incorporate it into ideas he was working on. Teachout does explain how Ellington chose his musicians and in many ways that is the key to Ellington's success. Ellington chose individualists: Rex Stewart, Tricky Sam Nanton, Cootie Williams were men whose ways of playing would have horrified teachers n the conservatories. The blend of those idiosyncratic tones gave the band its unique sound. With more than one eye on sales, Ellington’s sexual exploits are revealed at some length. Teachout ensures that we know that Ellington had many many casual affairs and was completely unfaithful to the main women in his life. What was Ellington supposed to do? He supported Strayhorn in some style throughout most his life. At every concert Ellington praised Strayhorn. The grief that Ellington felt after Strayhorn’s early death in 1967 was sincere. Ellington recorded an album almost immediately dedicated to the music of Strayhorn. Every concert finished with a piece by Strayhorn. The two men were very different. Strayhorn was gay in an era that did not approve. Strayhorn preferred to stay in New York because he did not enjoy life on the road. He was private and did not have Ellington’s flair for publicity. band of the sixties that engaged in the State Department tours of the Far East and South America also has its critical supporters. Teachout argues that Ellington reached a peak in 1940 and then declined for the next thirty years! There are wonderful works written in the 1960s completely different from anything in the earlier years: 'The Far East Suite', 'Togo Brava Suite', 'The Afro Eurasian Eclipse'. The band worked harder as they travelled the world. The amount of travelling that the band did in its later years was prodigious. They worked for most of the year on one nighters and residencies. Ellington lost recording contracts but he still recorded the band for his stockpile. Albums are still being compiled from that trove forty years later. Teachout is not a good guide to Ellington. It is far better to read “Duke Ellington's America” by Harvey G Cohen. Even better, if you can find a copy, read "Duke Ellington: A Listener's Guide" by GE Lambert”. Lambert just concentrates exclusively on what is important about Ellington…… the music. The inevitable question when presented with this book is ‘do we really need another book about Miles Davis?’, and when the finished article is as good a read and full of insight as this, then the answer is a most emphatic yes. When the book arrived in the post from New York I was not quite sure what to expect, and a cursory glance perhaps asked more questions than it answered. Why did Gelbard wait twenty years after Miles’ death before writing her book? What did she hope to achieve upon publication? And perhaps if these questions were not addressed directly, then reading this compelling story it has shed a new perspective upon the trumpeter’s last years and his interest in his art, and indeed this particular artist. 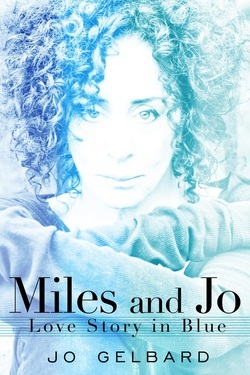 The book is autobiographical in so much as Gelbard not just recounts her time with Miles, but also intersperses elements about her life prior to their meeting. This serves not just as additional information about the factual side of her life but also helps to explain how and why, as a married woman with a young child, that she found herself in a tumultuous and at times violent relationship with one of the twentieth century’s greatest musicians. Gelbard’s writing style is succinct and matter of fact, with pauses that seem to crop up as if examining herself what she has just written and analysing her reasons for doing so. This brings an honesty and humility to the book as Gelbard tells of her affection for Davis, and how this ultimately grew into a deep love that lasted from their chance encounter in 1984 (as neighbours living in the same building) to Miles’ death in 1991. She examines the relationship from their initial meeting to their developing friendship and their mutual interest as artists, and subsequent collaborative work and exhibitions, to the realisation that her feelings were growing much stronger and that her world was about to change dramatically if she continued the association. The infamous Davis temperament inevitably showed itself, and Gelbard addresses this in a manner that does not condone his violent behaviour or ask for sympathy as the victim of such abuse. Nor does she try to defend the man she loves, but tries to rationalise it as if to gain a better understanding of this herself after the passing of time. There is no bitterness or rancour to be found, even when after Davis’ death his family banned her from the funeral. Her interest in Miles’ was not for his public persona or achievements, and somewhat endearingly she would call him by his middle name, Dewey, when they were together. 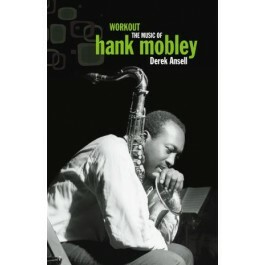 As if by doing so Miles the famous jazz musician could be kept out of their very intimate and personal relationship. And because of this, and despite events and pressures from the outside world, perhaps Jo Gelbard, out all of Miles’ numerous girlfriends, was the only one who loved him for being himself and not from any advantages that their association with him might bring. 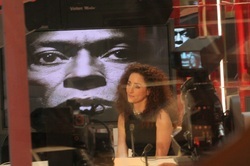 An enlightening and ultimately enjoyable book that celebrates the music and art of Miles Davis through the eyes of a woman who risked everything to be with him, and by doing so discovered herself in the process. MILES & JO: Love Story In Blue by Jo Gelbard is available from AuthorHouse, or you can purchase online from Amazon.